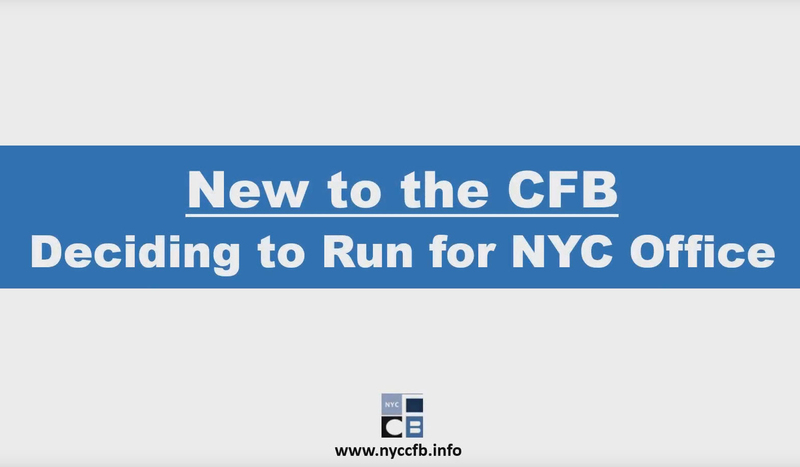 If you are interested in running for city office, we encourage you to watch our entire New to the CFB web series. This web series mirrors our in-person New to the CFB training, and only touches on general aspects of CFB compliance. Be sure to follow up your viewing by registering for a Compliance & C-SMART training and reading the Campaign Finance Handbook. The first video in our five-part New to the CFB web series goes over the decision making process for running for city office for the first time, and the factors candidates may want to consider before committing to the election process. 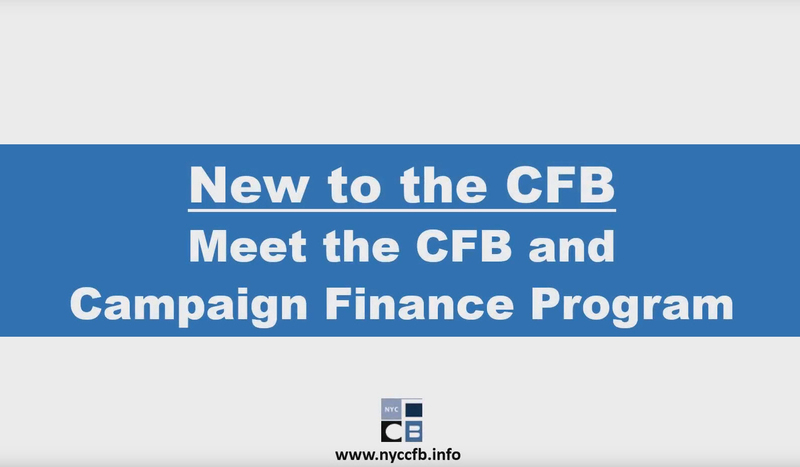 The second video in our five-part New to the CFB web series provides an overview of the CFB’s mission and the Campaign Finance Program. The third video in our five-part New to the CFB web series describes the administrative steps candidates need to take in order to register their campaign with the CFB, and the resources that the CFB provides to understand CFB compliance. 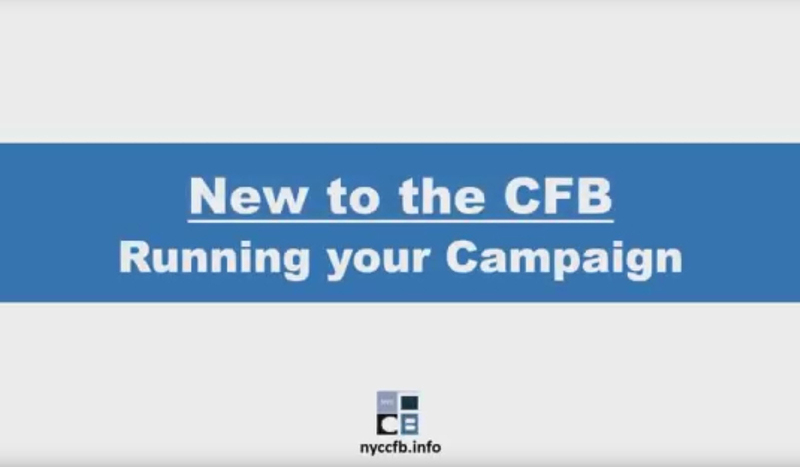 The fourth video in our five-part New to the CFB web series goes over general aspects of campaign planning, such as creating a budget, finding campaign staff, and establishing internal controls. 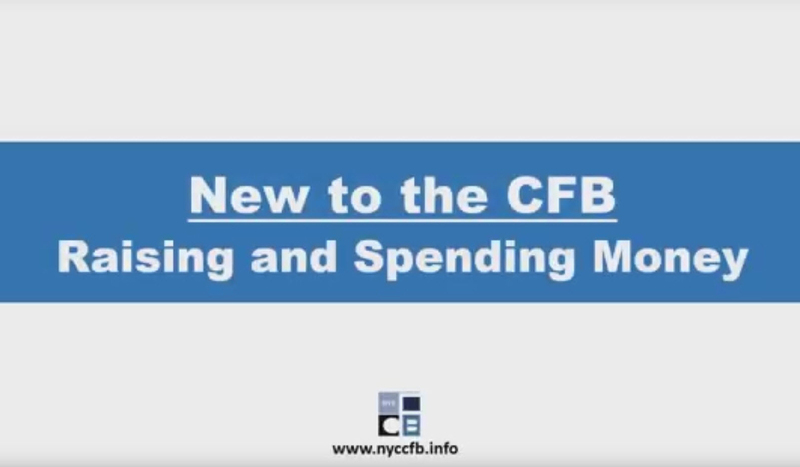 The fifth video in our five-part New to the CFB web series goes over basic guidelines about raising and spending money under CFB campaign finance regulations. 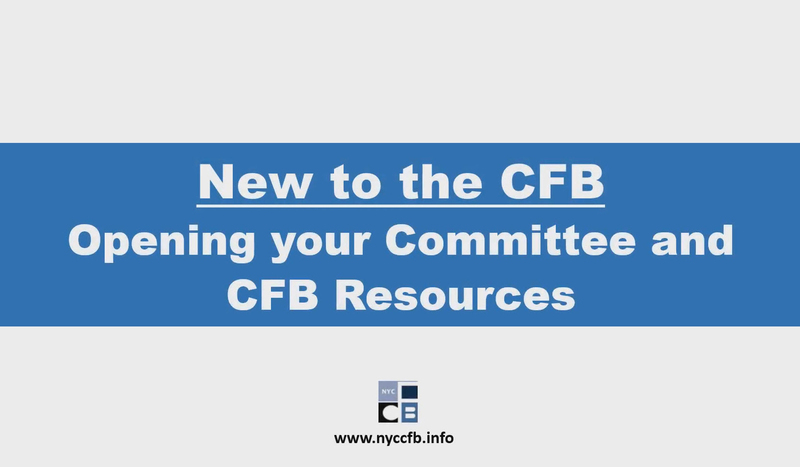 This video only touches on general aspects of compliance, so please be sure to follow up your viewing by reading the CFB’s Campaign Finance Handbook, and registering for a Compliance & C-SMART training.